September 17, 2012 - The National Transportation Safety Board on Friday issued two urgent safety recommendations to the Federal Aviation Administration (FAA) regarding two recent occurrences in which the fan midshaft on General Electric GEnx-1B engines fractured or exhibited crack indications and a GEnx -2B incident that appears similar in nature. The recommendations by the NTSB is to issue an airworthiness directive to require, before further flight, the immediate ultrasonic inspection of the fan midshaft in all GEnx-1B and -2B engines that have not undergone inspection, and second require repetitive inspections of the fan midshaft at a sufficiently short interval that would permit multiple inspections and detection of a crack before it could reach critical length and the fan midshaft fractures. The General Electric GEnx (General Electric Next-generation) is an advanced dual rotor, axial flow, high-bypass turbofan jet engine in production by GE Aviation for the Boeing 787 and 747-8. On July 28, 2012, the NTSB initiated an investigation of an engine failure that occurred on a Boeing 787 during a pre-delivery taxi test in Charleston, South Carolina. "The parties to our investigation the FAA, GE and Boeing have taken many important steps and additional efforts are in progress to ensure that the fleet is inspected properly," said NTSB Chairman Deborah A.P. Hersman. "We are issuing this recommendation today because of the potential for multiple engine failures on a single aircraft and the urgent need for the FAA to act immediately." In addition, on August 31, 2012, a GEnx-1B engine installed on a Boeing 787 that had not yet flown was found to have an indication of a similar crack on the fan midshaft. The fan midshaft was removed from the engine for further inspection and examination. As a result of the investigative work to date, the NTSB has determined that the fan midshafts on the GEnx engines fractured or cracked at the forward end of the shaft where the retaining nut is installed. GE developed a field ultrasonic inspection method to inspect the fan midshaft in the area where the fracture and crack occurred that can be accomplished with the engine still installed on the airplane. To date, all in-service and spare GEnx-1B engines have been inspected. 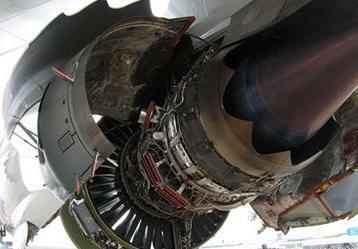 In addition, all GEnx-2B engines on passenger airplanes have been inspected. However, the NTSB is aware of approximately 43 GEnx-2B engines on 747-8F cargo airplanes that have not yet been inspected and is concerned that they are potentially susceptible to a fan midshaft failure. More recently, a Boeing 747-8F cargo flight, operated by Air Bridge Cargo, equipped with General Electric GEnx-2B turbofan engines, experienced a loss of power in one of the engines during the takeoff roll in Shanghai, China. The airplane had accelerated through 50 knots when the engine's low pressure rotor speed dropped. The pilot rejected the takeoff and returned to the ramp. Photographs of the low pressure turbine show damage similar to the GEnx-1B engine from the Charleston incident. The NTSB will continue to coordinate with our investigative counterparts in China.